Poppy Cascade Pocket Mix is the collection of poppies that is ideal for natural settings and informal landscape beds, and the poppy plants can live over or re-seed to form a permanent flower garden. 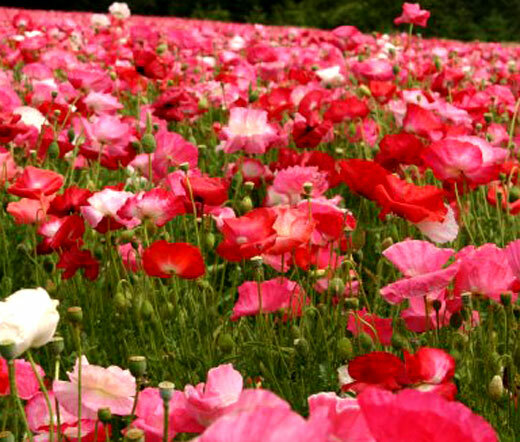 Cascade Pocket Poppy Mix seeds can be started directly outdoors in spring of fall. These cool season, hardy poppies can be planted alone or combined with other wildflowers or perennials, and the established poppies tolerate both cold and hot temperatures.